Share her horoscope… Kate Moss! Kate Moss was born 16 January 1974 in Croydon, London making her a cool, classic Capricorn. She was discovered in 1988 and is one of the world’s top models with estimated earnings of $9.2 million in 2012. She’s been caught up in a few scandals but we love our national treasure! Leo Rising adds confident prowess to Kate’s attitude, she’s . 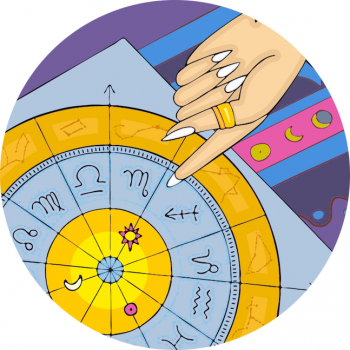 This placement also means that the Sun is her chart ruler, as Leo is ruled by the Sun. This leads us to the Sun in Capricorn, which sits in the sixth house of the chart giving her a busy, work life. Although her sun is in the Cardinal sign of Capricorn, there’s so much Fixed energy in the chart, with personal planets in all three angles in relation to the rising – so Scorpio, Aquarius and Taurus. Venus In Aquarius likes to be different and is abstract. Friendships is of utmost importance in relationships.